Talgarth TownThe ancient market Town of Talgarth nestles beneath the Black Mountains which run along the border between Wales and England. With the Wye valley to the north and the Usk valley to the east Talgarth could not be better placed for a holiday in this beautiful part of Wales. The ancient market Town of Talgarth nestles beneath the Black Mountains which run along the border between Wales and England. 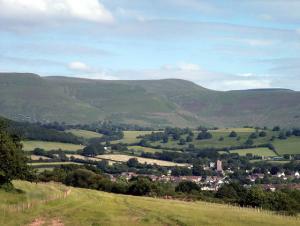 According to traditional accounts, Talgarth was the capital of the early medieval Welsh Kingdom of Brycheiniog.